Hayao Miyazaki, as creator of miryad of great anime and characters from japanimation, has a single place in everyone's heart. Here are some works in 1/72 scale. 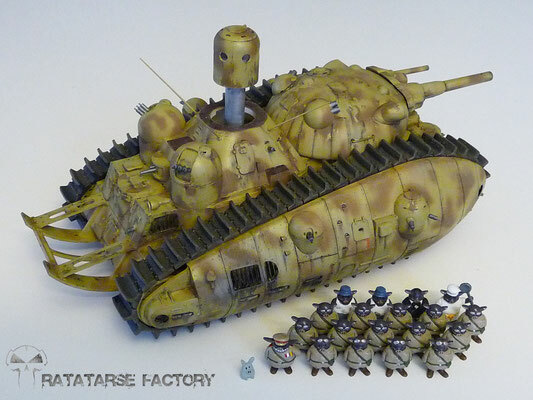 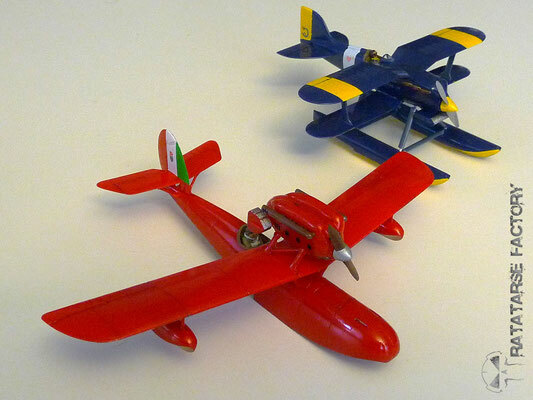 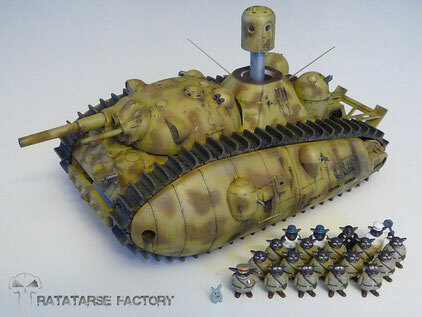 Its piggy tank "Akuyaku1go", as depicted in the first artbook and brought to "life" by Tasca (Asuka models since a while), goes perfectly with the great anime legend "Porco Rosso" and its nemesis Donald Curtiss, both brought in kit by Fine Molds. 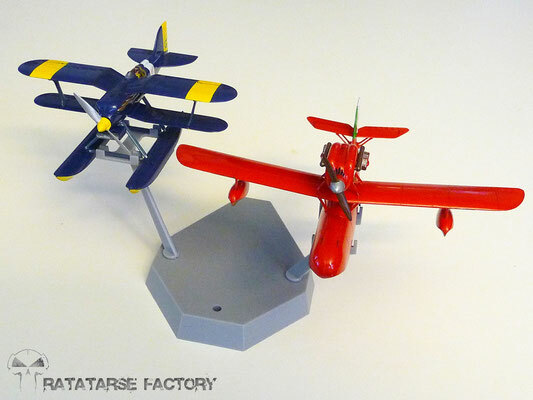 A unique diorama will display those 3 kits later.